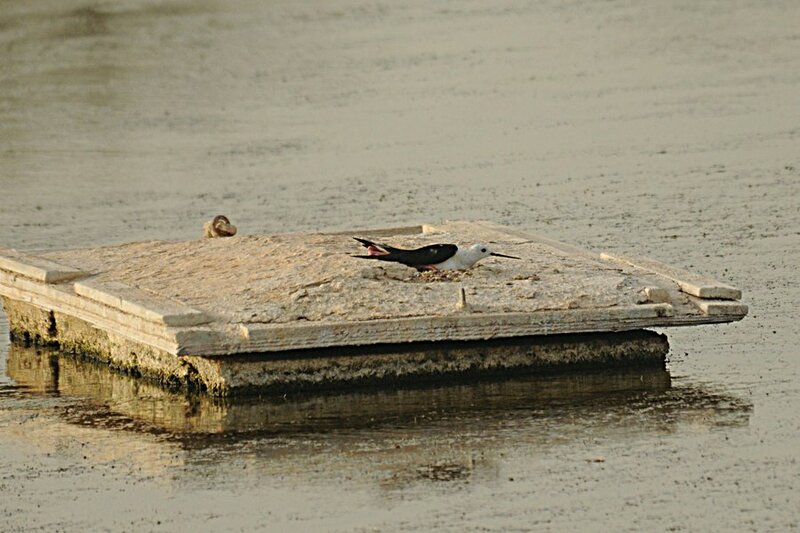 The Black-winged Stilt is still sitting on her second set of eggs after the first clutch failed. There only appear to be two eggs present at the moment but she is sitting tightly on the eggs and only getting up occasionally to cool herself down by wetting some of her feathers. She mainly does this to the breast feathers, so it maybe to help control the temperature of the eggs as well. The nest site is a floating platform about 50 metres from the edge of the pond and does not appear the best place to nest. The adult Grey Heron is still sitting on the adjacent platform and this bird is very adept at catching young birds from this platform as I have seen it eat young Eurasian Coot and Eurasian Moorhen last year. 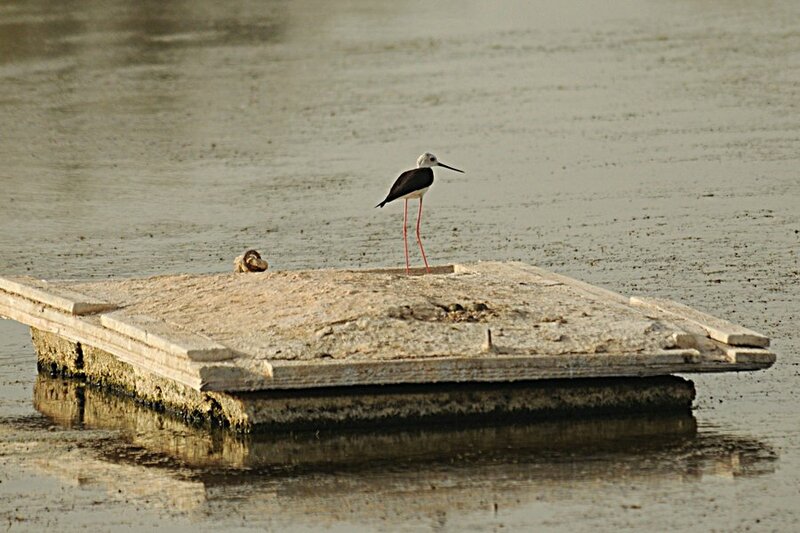 Let’s hope for the best for the Black-winged Stilts. Other birds nesting on the pind this year include at least two nests of Little Grebe, two pairs of Eurasian Coot with young and five pairs of Common Moorhen with young. The Little Bitterns are probably nesting as well as a male and female have been seen regularly over the last month or so.